Karen Chapple, Ph.D., is a Professor of City and Regional Planning at the University of California, Berkeley. Chapple, who holds the Carmel P. Friesen Chair in Urban Studies, studies inequalities in the governance, planning, and development of regions in the U.S. and Latin America, with a focus on housing and economic development. Her recent books include Planning Sustainable Cities and Regions: Towards More Equitable Development (Routledge, 2015), which won the John Friedmann Book Award from the American Collegiate Schools of Planning; Transit-Oriented Displacement or Community Dividends? Understanding the Effects of Smarter Growth on Communities (with Anastasia Loukaitou-Sideris, MIT Press, 2019); and Fragile Governance and Local Economic Development: Theory and Evidence from Peripheral Regions in Latin America (with Sergio Montero, Routledge, 2018). She has published recently on a broad array of subjects, including the fiscalization of land use (in Landscape and Urban Planning), urban displacement (in the Journal of Planning Literature and Cityscape), community investment (in the Journal of Urban Affairs), job creation on industrial land (in Economic Development Quarterly), regional governance in rural Peru (in the Journal of Rural Studies), and accessory dwelling units as a smart growth policy (in the Journal of Urbanism). In Fall 2015, she co-founded the Urban Displacement Project, a research portal examining patterns of residential, commercial, and industrial displacement, as well as policy and planning solutions. In 2015, Chapple’s work on climate change and tax policy won the UC-wide competition for the Bacon Public Lectureship, which promotes evidence-based public policy and creative thinking for the public good. Chapple also received the 2017 UC-Berkeley Chancellor’s Award for Research in the Public Interest. 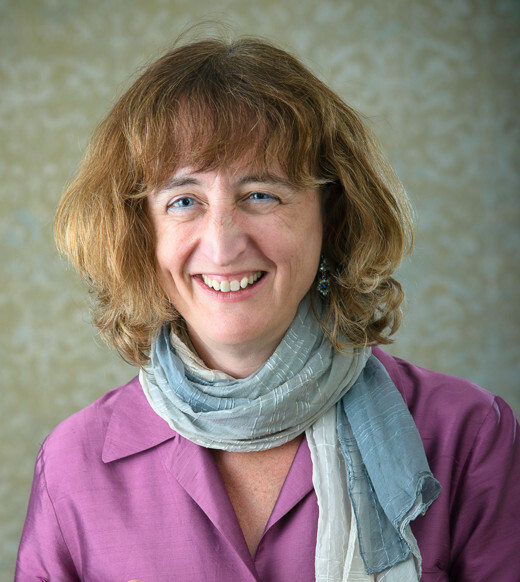 She received a Fulbright Global Scholar Award for 2017-2018 to explore expanding the Urban Displacement Project to cities in Europe and Latin America, and was a Visiting Scholar at NYU’s Center for Urban Science and Progress, University College London’s Centre for Advanced Spatial Analytics, Polytechnic University of Madrid, the University of Sydney, the University of Buenos Aires, and the Universidad de los Andes. In 2018-2019, she is serving as the senior faculty advisor in UC-Berkeley’s Division of Data Sciences. As a faculty affiliate of the Institute of Governmental Studies and the Institute for Research on Labor & Employment, Chapple is currently engaged in research projects related to sustainability planning, specifically, on residential and commercial/industrial displacement. Since 2006, she has served as faculty director of the UC Berkeley Center for Community Innovation, which has provided over $1.5 million in technical assistance to community-based organizations and government agencies. This has included research on the potential for gentrification and displacement near transit-oriented development (for the Association of Bay Area Governments); more effective planning for affordable housing and economic development near transit (for the Great Communities Collaborative); the relationship between the arts, commercial and residential revitalization in low-income neighborhoods; and the role of the green economy and industrial land in the California economy. She has also led a national contest sponsored by the Annie E. Casey Foundation to generate ideas for local and state job creation targeting disadvantaged communities. Chapple has also worked on regional and local economic development research projects in Mexico, Spain, Thailand, Israel, Brazil, Peru, Argentina, Guatemala, Colombia, and Abu Dhabi. She provides policy advice to many local, state, and national elected officials and has also served on the Berkeley Planning Commission. Chapple holds a B.A. in Urban Studies from Columbia University, an M.S.C.R.P from the Pratt Institute, and a Ph.D. from UC Berkeley. She has served on the faculties of the University of Minnesota and the University of Pennsylvania, in addition to UC Berkeley. From 2006-2009, she held the Theodore Bo and Doris Shoong Lee Chair in Environmental Design. She is a founding member of the MacArthur Foundation’s Research Network on Building Resilient Regions. Prior to academia, Chapple spent ten years as a practicing planner in economic development, land use, and transportation in New York and San Francisco. 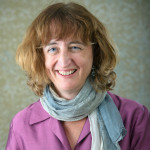 In her courses, which are on community and economic development, regional planning, and planning and economic analysis methods, Chapple brings planning practice into the classroom, links scales (from the parcel to the region) and disciplines (from design to economic development), and focuses on critical, balanced evaluation of ideologies and outcomes.